The latest in our reference series of products, the ART27A is a special amplifier designed for special applications, available to a limited number of discerning audiophiles (no more than 250 units will be produced). Speaker systems vary in sensitivity with some highly regarded speakers measuring an output of 86 dB or less from one Watt at one meter to others producing as much as 104 dB for high efficiency systems. Further, room dimensions, speaker placement, and listening placement vary widely – also dramatically impacting power demands. An inefficient pair of speakers in a large room can demand 100 times as much amplifier power as a highly efficient speaker in a small room. Clearly not all high-end audio installations require high-powered amplifiers. 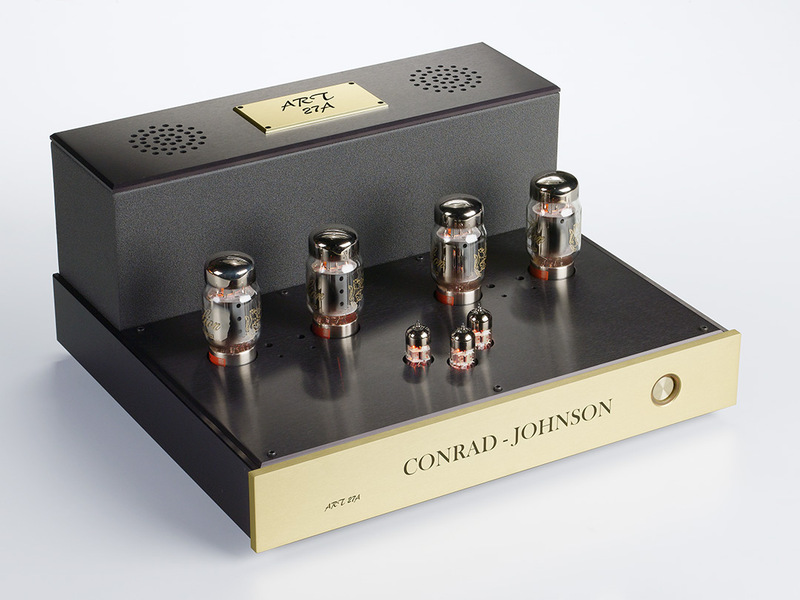 Rated at 36 Watts per channel into 4 Ohms (optionally available configured for 8 or 16 Ohm loads), the new conrad-johnson ART27A is an amplifier designed specifically for applications where lower output powers are sufficient. This approach facilitates design choices that are simply not practical in a high-powered amplifier. The ART27A circuit is designed for Class A operation of KT88 output tubes configured as triode devices. The amplifier boasts independent regulated power supplies for the output stage of each channel in addition to separate regulated supplies for both input and inverter stages. Our design team has long appreciated the critical importance of parts quality in achieving top performance. Our commitment to executing our reference level products with only the highest quality parts is unmatched in the industry. Precision laser-trimmed bulk metal foil Vishay resistors are used throughout the voltage gain stages and related power supplies. CJD Teflon dielectric capacitors are used for coupling the inverter stage to the output stage, and to bypass the large value polypropylene capacitors in the regulated power supplies for the voltage gain and inverter stages. 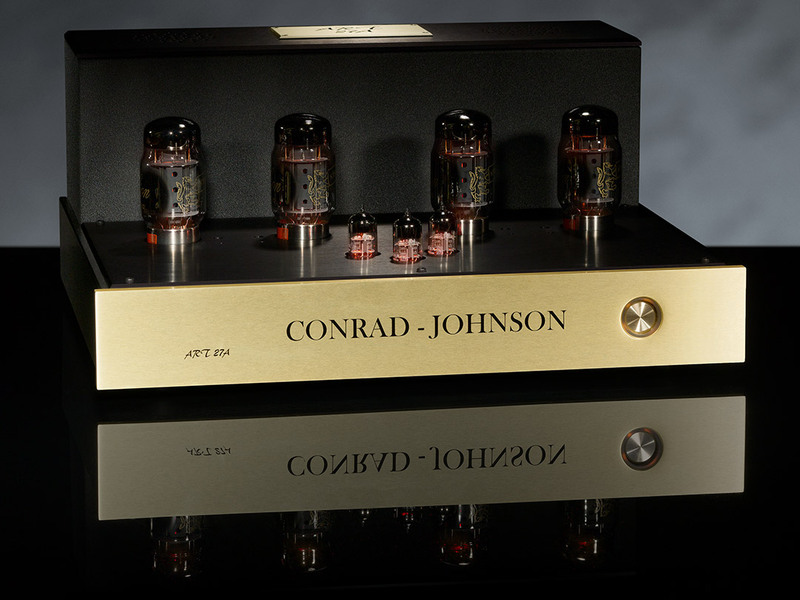 Amplifier output is coupled to speakers through premium wide-bandwidth Lundahl output transformers optimized for Class A operation of triode connected KT88s. Even the machined OFC connectors and the internal wiring have been carefully selected for optimal sonic performance. Attention to every detail enable us to extract the full potential from our circuit designs and ensures that our products will perform to this potential for years to come. The ART27A amplifiers are built without compromise to achieve a new standard in musical performance, and they are built to last. 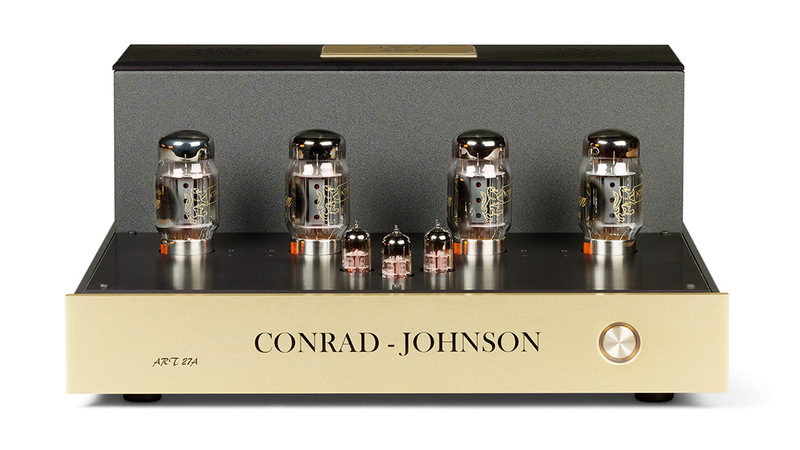 Every conrad-johnson ART27A amplifier is patiently and carefully hand assembled, then individually inspected and its performance verified by an experienced audio technician.